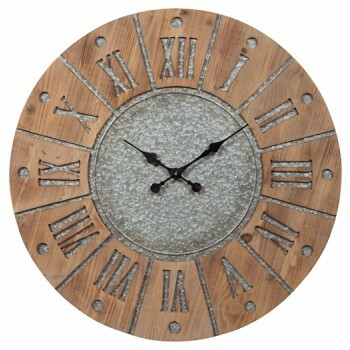 This wall clock is on time with industrial farmhouse style. Grain shows beautifully through the natural wood. Large Roman numerals and sun design make an impact in galvanized metal. Ample scale makes this a gorgeous focal piece for your wall.